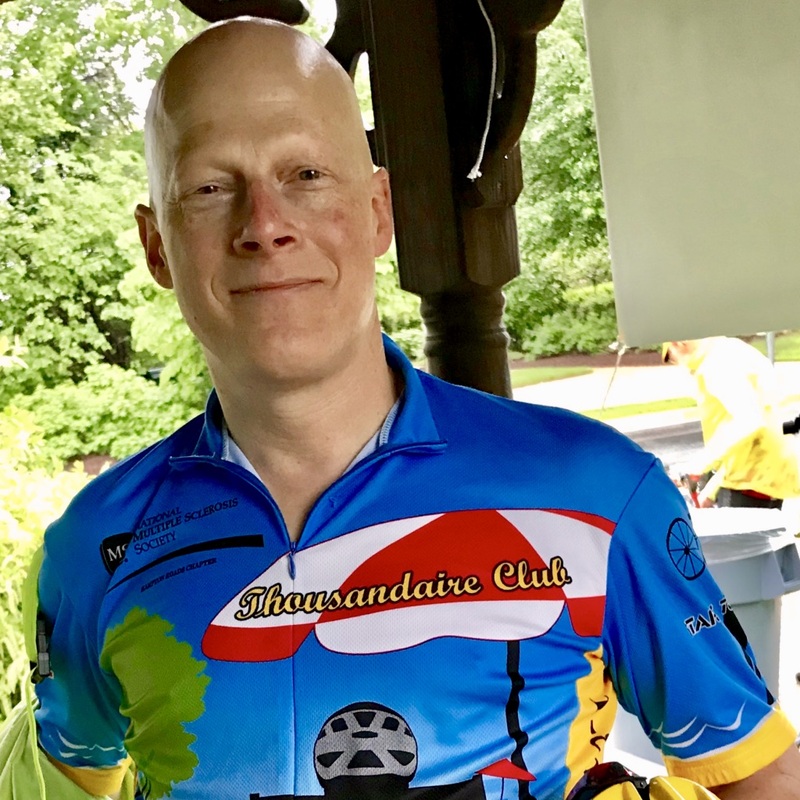 Unconcerned about the rain on BTWD 2018, Lou from Springfield took some time to talk to FABB about his views on bicycling in Fairfax County. Lou rides for his health, laughingly adding that biking takes miles off his car and puts them on his body. He regularly commutes to work by bike. This year he also is riding to get ready to participate in the Multiple Sclerosis Society’s Bike MS: Colonial Crossroads Challenge in early June. Lou told us that he really likes being out in the fresh air as he exercises. To make it easier and safer to ride in the county, Lou recommends better enforcement of the three-feet safe passing law. He also would like to see more bicycle facilities added as businesses expand along Loisdale Road in Springfield. FABB is happy to report that Fairfax County’s Bicycle Master Plan, which we supported and helped get approved, includes numerous bike lanes and sharrows on and around Loisdale Road and Commerce Street. Between 2015 and 2017, some of these facilities were added as part of the Virginia Department of Transportation’s summer repaving program. Although no additions are planned for this summer in this area, there will be future opportunities for the repaving program to provide this virtually cost-free bicycle infrastructure.